If you have experienced duplicated notes or any other data on your iPhone, you will appreciate any help that seeks to remove duplicated notes from your iPhone or any other iOS devices. Imagine a situation where your device reported disk full caused by such duplicated files. At that instance, you won't know what file to remove, and it could be that the needed file on your system is what you will remove to make space for your iPhone no matter it is running iOS 11 or other versions. This article will discuss the reason for duplicate notes and give you the solution to remove it without affecting your data. Part 1. Why Do Duplicate Notes Happen on iPhone? 1 Why Do Duplicated Notes Happen on iPhone? Wonder why duplicate notes always happen on your iPhone? Well, It is hard to define the causes of duplicate notes. But probabaly it is caused by the following two reasons. Reason 1: Duplicate notes can be created if you sync notes over the air and iTunes. Reason 2: If you have tried to sync notes with iCloud and iTunes, duplicated notes can be resulted from that. Under this circumstance, you will need to delete the duplicates manually and then sync again. It requires being patient to go through all the duplicates and make sure to remove them all. See how to delete duplicated notes on your iPhone as below. Having duplicated notes on phone is annoying and many of us don't want that. And you can delete them to free your iPhone from such wasters. The following steps help to get rid your iPhone of duplicated notes. Step 1: From the Home Screen, start the Notes app. Step 2: Locate and open the duplicated notes. And tap the trash icon to remove it. Repeat this process to remove all the duplicated notes from your iPhone. 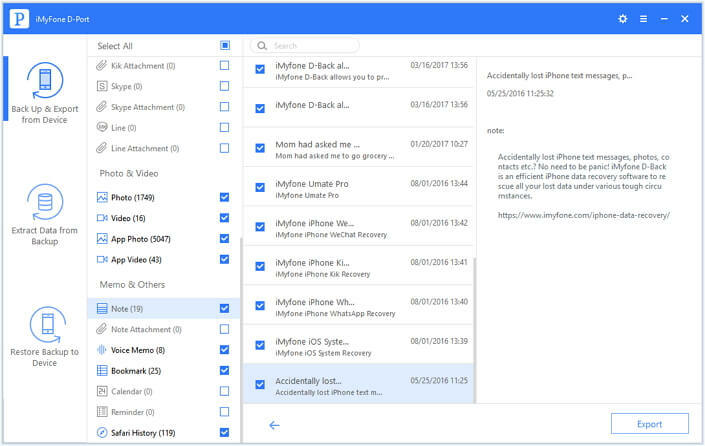 You can also use iMyFone Umate Pro (compatible with iOS 11) iPhone data eraser to selectively delete duplicated notes from your iPhone by one click. Refer to the article on how to delete and erase notes from iPhone permanently. In the discussions above, we discussed two ways you can remove iPhone duplicate notes. But how to prevent future reoccurrence and avoid iTunes or iCloud to create more duplicates in the future? Let's discuss several methods to give you more ideas to deal with the duplicates problem. The reason iPhone keeps creating a duplicate is that of the syncing process, one way to stop your iPhone from such issue is by turning off and on Notes in iCloud. The following process explains how to achieve that. Step 1: Sign in to iCloud on your PC/Mac and confirm whether iCloud includes the duplicated notes found on your iPhone. Step 2: If it doesn't, disable Notes in iCloud on your iPhone using the toggle to delete the duplicated notes. Step 3: After removing the notes setting, turn the Notes toggle back on to sync with your iPhone frequently without duplicates. When your source of sync contains duplicates, it is understandable it will share the same content on your iPhone during sync. This method addresses the fix of the problem. Step 1: connect iPhone to computer and launch iTunes. You will see it sync your iPhone automatically. Step 2: Click iPhone icon and then click on the option of "Info". Step 3: Find “Sync Notes” and uncheck it. Then choose “Delete Notes" tab to finish the process. If you are concerned that you may lose valuable data when you remove duplicated notes from your iPhone, there is a solution in iMyFone D-Port iPhone Data Exporter which is compatible with iOS 11. 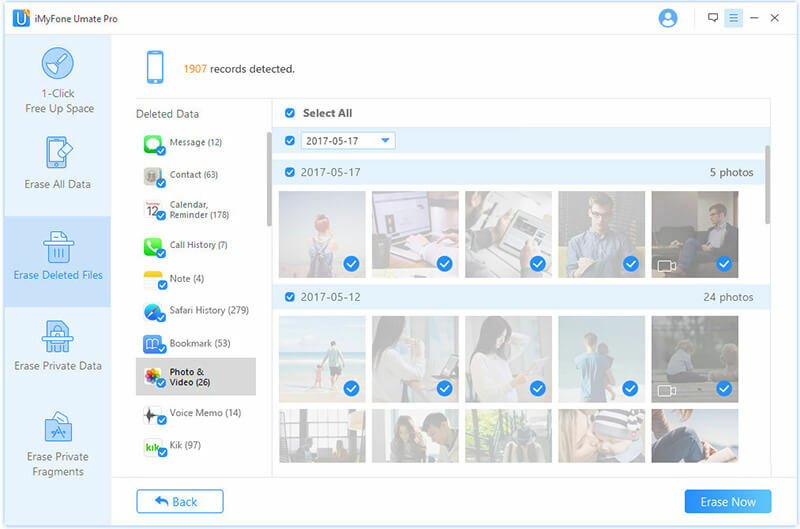 This app can help solve the problem of accidental deletion through the backup of your data on iPhone. The iMyFone D-Port tool will help you to back up your iPhone data manually to keep your data safer And you can view iTunes backup and download iCloud backup with it. Back up notes, WhatsApp, WeChat, Contacts and many more files from your iPhone to your PC/Mac. View your data in iTunes/iCloud backups without restoring them to your devices. Offers easy-to-use interface and free trial version for all users. To fix your iPhone duplicating notes issue isn't a problem anymore with the methods in the article. With iMyFone D-Port, it is safer to deal with your duplicate notes issue on iPhone. Try it now!